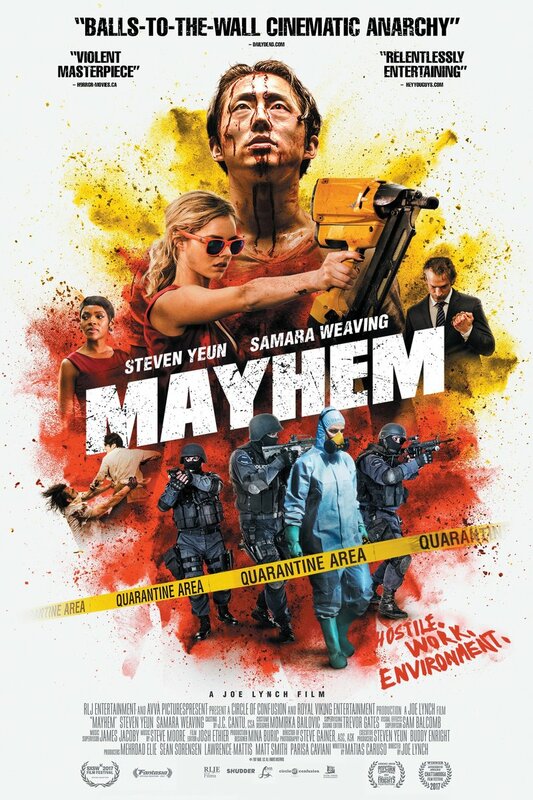 Mayhem DVD and Blu-ray release date was set for December 26, 2017 and available on Digital HD from Amazon Video and iTunes on October 12, 2017. After Derek Cho is framed by a coworker and wrongfully fired, the corporate law firm he works for is quarantined. A mysterious and insidious virus causes all-out bedlam as the white collar victims of the disease act out their worst impulses. Derek must join forces with a former client to fight for his life through blood-filled carnage to get to the executives on the top floor and settle the score once and for all.